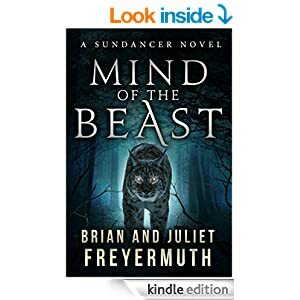 I reviewed Brian Freyermuth’s novel Demon Dance last year, and am pleased to say the sequel is now out. Co-authored with Brians’s wife Juliet it’s called “Mind of the Beast”. Brian says we get to find out much more about the characters in the Sundancer world this time around, which I think will be good. One of the problems I had was the lack of info on the various characters so I’m pleased that’s been added.